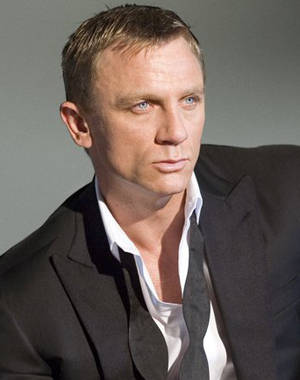 Today is Daniel Craig’s birthday, and it’s not my intent to dump on the guy. So, go out and have a great day, Danny, get some presents, and eat some cake. Anything said here isn’t personal. It’s in a wider context which you cannot possibly understand. If you did, you’d go to the film franchise that is James Bond, turn in your tuxedo, your double O ranking, your License to Kill and resign. In fact, you should have done it already, but alas… Daniel, you are forgiven ‘cause you don’t know what you’re doin’. James Bond is part of the Western culture that stretches back beyond Beowolf to the heroes of Greek mythology. He has a place with Hercules. He ranks with King Arthur’s knights, Robin Hood, Sherlock Holmes and Tarzan. He is so intimately connected to what we are as a society that when you mention his name, nobody says, “Who?” There are presidents, popes and kings who don’t command that kind of respect. So why has 007 been turned into a pouty tough guy with a tentative jaw line? Don’t answer that! It’s a rhetorical question. The damage has already been done. I’m not blaming Daniel Craig particularly. There are producers, directors and writers who not only share the blame but are hugely responsible for it. Craig is an actor. He does what he’s told. Of course, he could put a little more oomph into it, but these days actors are judged by their abs, not their oomph. The real problem is it looks like everybody connected to the James Bond film franchise studied Bond at the Learning Annex. It obvious they have never seen the other films and they have definitely never read the books. If they had they wouldn’t be so cavalier with their portrayal. They would treat James Bond with respect and quit making him look like Derek Zoolander with a pistol. The current James Bond is based on one fundamental fallacy — he’s an antihero. 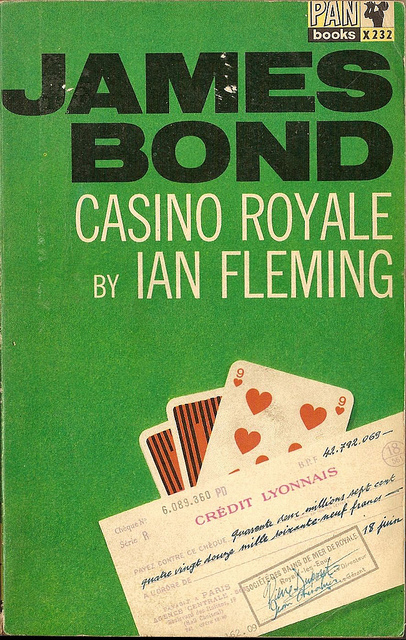 That assumption is so dead wrong if I were Ian Fleming, living or dead, I’d sue this current crowd of Bond makers for defamation of my character. James Bond is not an antihero. He’s not even an unlikely hero. He’s a hero. He’s quicker, smarter and mentally stronger than the average guy. He has charm and charisma. He does the right things for the right reasons. He’s dedicated. That’s why he has a Licence to Kill. The licence is issued by the British government (for reference, see Sir Francis Drake’s Letters of Marque) under the proposition that when faced with a villain who is willing to blow up places like Miami (Emilio Largo in Thunderball) you don’t organize a discussion group — you shoot him. (Where have we seen that scenario recently?) And it is a Licence to Kill, not a licence to spray bullets around like some demented Rambo. 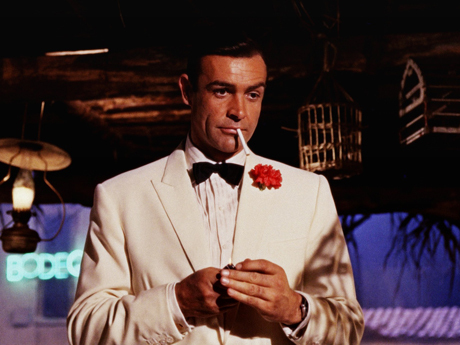 Playing Bond like an emotionally bankrupt thug is to diminish the purpose of Bond. At root, James Bond is a civil servant. He is a government worker, trained to do his job — just like a tax collector or a traffic warden. I cannot emphasize this enough. He is not a semi-loose cannon or a killing machine. He gets up in the morning and goes to work, just like everybody else. He has a desk and a secretary. He doesn’t even have his own office. He has to share with 008 and 011. He has a demanding boss, and sometimes he gets bored. Plus — and this is another rudimentary fact the current Bond people are missing — James Bond is a secret agent of the government. Bond’s work, by its very nature, must be discreet. This current guy leaves enough mayhem behind him to attract Lindsay Lohan’s three ring media circus. If he had any higher a profile he’d be hosting Dancing with the Stars. In the two Craig/Bond movies to date, James Bond is neither recognizable nor worthy of the name. The last travesty, Quantum of Solace, isn’t even a real movie. It’s a series of Mack Sennett chase scenes punctuated by random acts of destruction and numerous hard glances of tight-jawed “Blue Steel.” Casino Royale at least had a story. Anyway, Happy Birthday, Daniel Craig! Jason Statham, where are you? This entry was posted on March 2, 2012 by wdfyfe in Social Media and tagged Casino Royale, Daniel Craig, Ian Fleming, James Bond, James Bond in film, Quantum of Solace.